It uses timber for the exterior, making it reminiscent of Iga store at the time of its establishment. 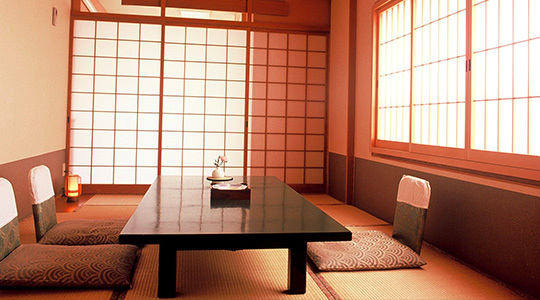 Igaya is a small ryokan with only 10 guestrooms. 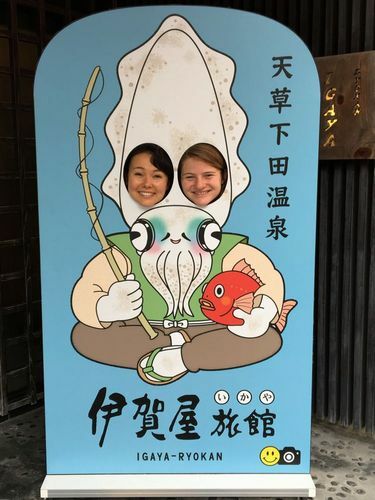 The down-to-earth, warm Amakusa atmosphere is sure to bring a smile to your face. Please relax and enjoy a quality time at our inn. 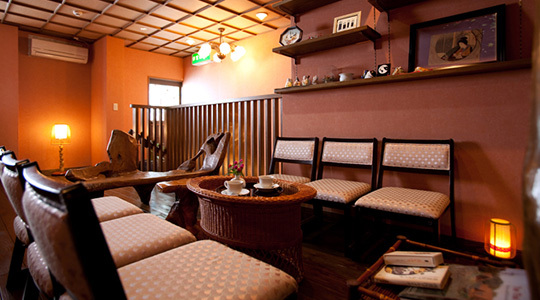 Traditional Japanese-style rooms where you can feel the warmth of the natural wood decor and the atmosphere of Japan’s bygone years. All guest rooms are equipped with a television set, a bathroom with bidet, air conditioning, a fridge, and an in-room safe. *Due to the traditional style of the building, you may hear an echoing sound of opening and closing of the doors from other rooms or the footsteps walking up the stairs. We appreciate your understanding and patience. We have prepared a small lounge on the second floor where you are free to peruse sightseeing information magazines about Amakusa. We invite you to relax and access the material while enjoying the free coffee provided at the lounge. 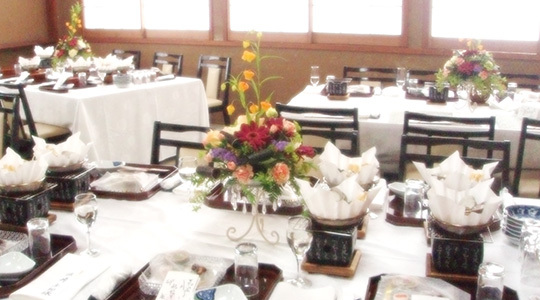 The banquet hall can accommodate up to 40 people. Dinner can be served at this hall for large groups of guests such as big family gatherings or guests on a company trip. The hall can also cater for other special occasions, such as small private weddings. ＊The breakfast is served at the hall for all guests. Free Wi-Fi is available throughout the facility including all the guestrooms. 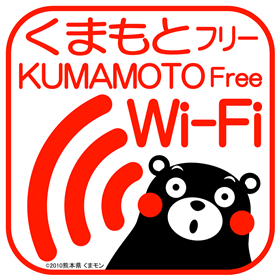 Please enjoy the free internet through your smartphone or iPad. Let us assist you in creating fun memories. Please capture the fun family moments by taking a photo! We have created Igaya's own Comic Foreground for our guests. Amakusa was known to the rest of the country as having a strong European influence. We have designed a Comic Foreground that resembles a family trip during this Meiji period.